- Cashmere Cape Fabric Content: 100% Cashmere . - Fur Content:Dyed Dark Brown Fox. Fur Origin: Finland. - Snap at sleeves allows you to wear the cape with a full sweep or use the snap to form a sleeve. - Cape measures approx. 200" from tip to tip and 34" from neckline to hemline at center back. - Hook and eye fur closure at the top. Beautiful in brown! 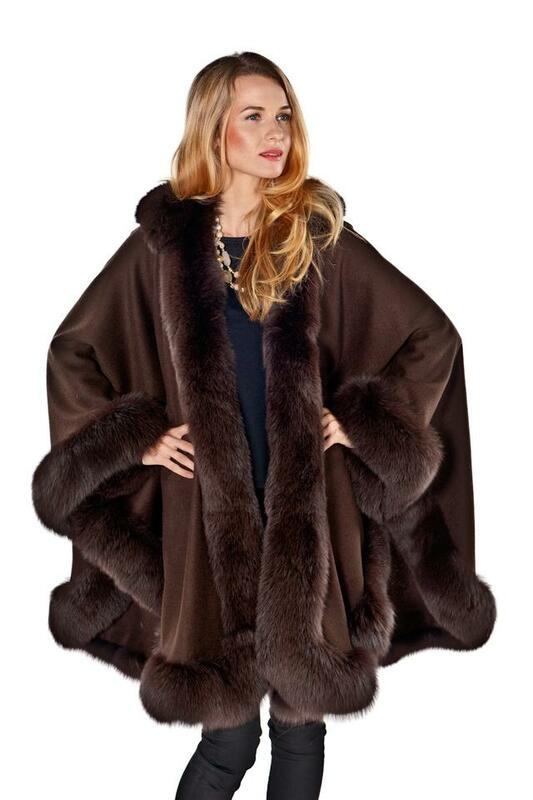 This lovely cashmere cape trimmed in rich, chocolate brown fox is the perfect wrap for every day and evenings from fall through winter. 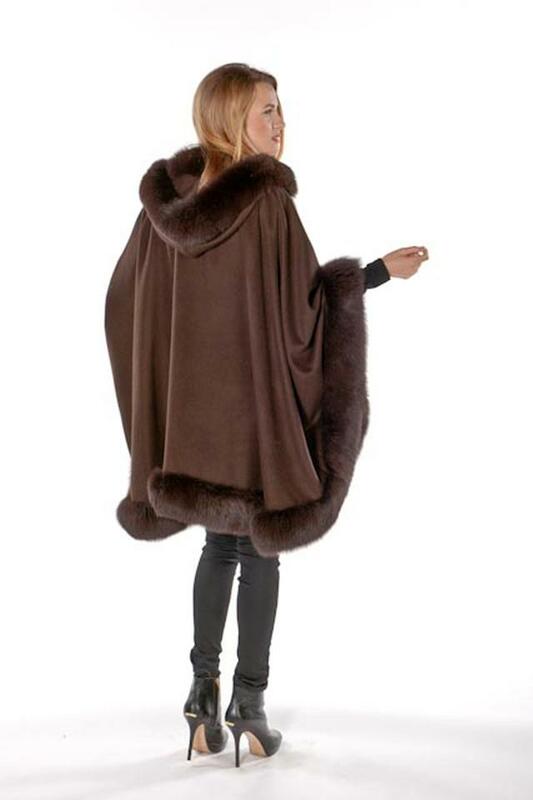 The fabulous detachable hood snaps on and off quickly to give you the rich fox trimmed cashmere cape look you want, to fit every occasion! Soft yet substantial, our best selling cashmere cape will coordinate with your favorite suits, dresses and will look great thrown over your basic black sweaters and slacks. 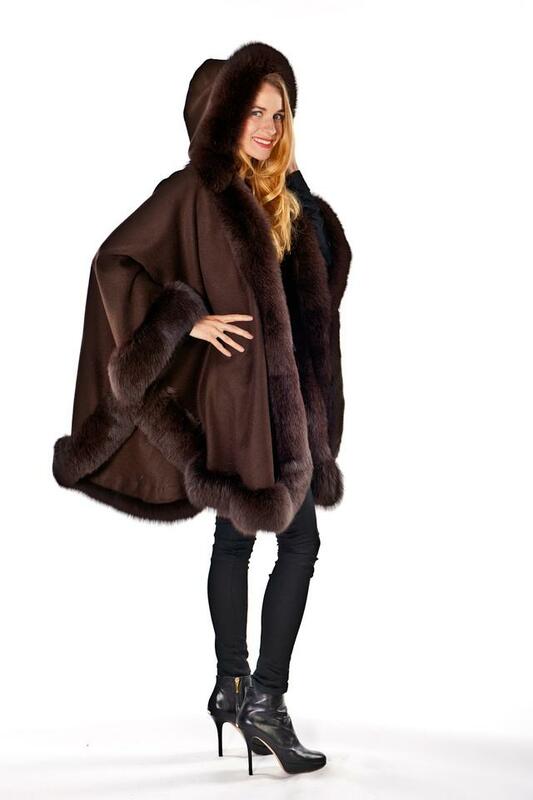 Polished yet practical - our cashmere capes have a beautiful sweep that ensures a comfortable fit! Available in 13 fashion forward colors.